Marquette Electronics specialised in medical systems is now part of GE Medical. This system was called the Marquette 8000 Holter System. It's purpose was to analyze 24 hr tape recordings of a patients heart activity to determine any abnormalities. Clinically historicaly as it was the worlds first computer restrospective Holter scanner. Prior to that a clinician would have to sit in front of a screen and watch 24 hrs of ECG data buzz on a screen and halt on any aberrant beats to be recorded. This system. would play in and digitize the analog recorded ECG from the cassette reader (could also purchase a TEAC reel-reel as an option) recorded at 1 3/4 ips, "digest" the ECG and parse out ventricular vs normal vs SVE aberrant morphologies. This was the predecessor to the Laser SXP, another DEC 11/23 based Holter system. The way the system functioned: a cardiac patient would wear a Holter cassette recorder on his/her body for 24/48 hours and the tape would record all the patients heart beats. After 24/48 hours the tape was removed from the recording device and played back into the system. The Holter system analyzed the patient''s beat to beat data (for heart abnormalities) and constructed reports for a technician or doctor to review. 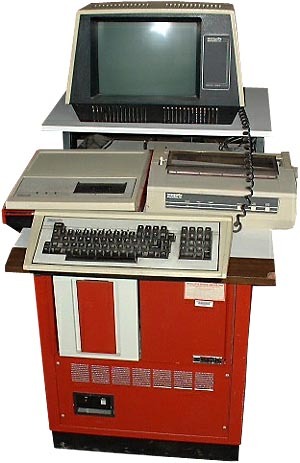 The main computer used a DEC 11/23 Processor running RSX-11, 1MB memory board, serial board (J-Board), SCSI HD Controller Card, an Array Processor Board, and a graphics controller board. The CRT was monochrome and not touchscreen. The printer was a 9 pin dot matrix type. The main boot hard drive was 80 MB and the storage drive was a 160 MB. Marquette dominated the cardiology (Stress,EKG & Holter) business in the US during the 1980s and this unit probably sold new for around $35-55,000.00. US customers has been reported as of July 2003 still using this unit. SIZE / WEIGHT Big !!! see more Marquette Electronics 8000 Holter System Ebay auctions !